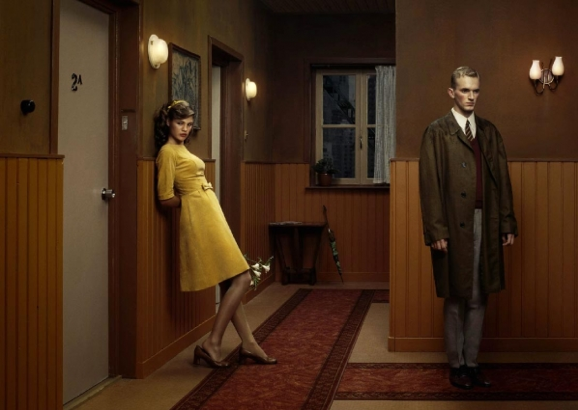 In the past the Dutch photographer Erwin Olaf worked primarily for fashion and advertising companies. Nowdays he’s working on more personal projects and they’re all pretty mind-blowing. This image is from his Hope series..It’s beautiful!To create this captured moment of hope, Erwin used 5 lights. Camera: Medium format, with Kodak EPP 100 transparency film and an 80mm lens. Set on atripod 11 feet back. Shot at 1/30, f11, ISO 100. 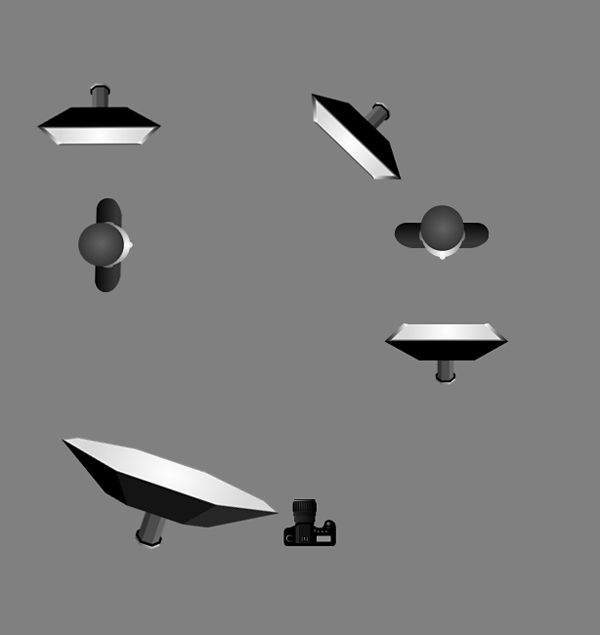 Lighting: Our man’s key light is a small softbox at f13 (+1/2 stop) over his head and slightly frontal aimed at his face. A medium softbox at f8 (-1 stop) is set high and one meter to camera left, also aimed at his head, providing fill. For our woman, a small softbox at f11 is over her head and also slightly frontal and just to her right. Another small softbox at f11 is positioned behind the wall the man is standing against and aimed at her face. A large octabank at f8 (-1 stop) is high and two meters to camera left. This provides fill for her body as well as the entire wall and left side of frame. The models kept very still with the slow shutter speed so Erwin could capture the wall sconce lighting (though it was enhanced in post). Really elegant lighting solution for this shot.